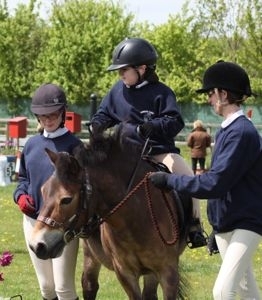 Saturday 11th May 2019 – Barrow Farm RDA Open Day. Come and see our horses and ponies at work. 10am-4pm Refreshments available. Sunday 19th May 2019 – RDA Regional Championship. Volunteers needed to help out and supporters are always welcome. Speak to one of the coaches to find out more. Sunday 30th June 2019 – Barrow Farm RDA Dressage & Countryside Challenge & Strawberry Tea. An opportunity for riders to use the skills they have learnt to compete in either countryside challenge or dressage. Our riders love having the chance to win a rosette or even a trophy. This can be the first time many riders have ever won anything and there will be many happy faces. Refreshments available 11am-3pm. Dancing to the Most Unexpected Barn Dance Band. This is a great inclusive fun family night, so bring your kids and granny too. Pay for your tickets before 30th June and get the Early Bird Discount at £10 per adult and £5 for under 16s. Under 5s go free. From 1st July tickets are £12 and £6.